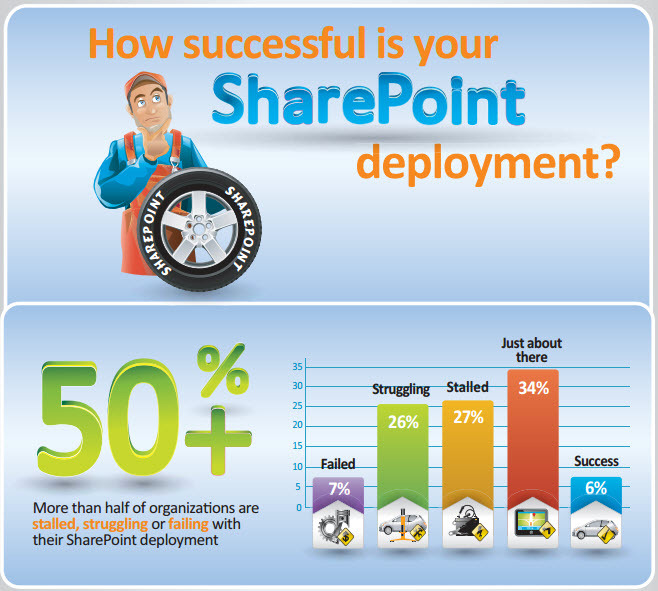 AIIM confirms, that the lack of a SharePoint strategy and governance is among biggest reason to SharePoint services failing. 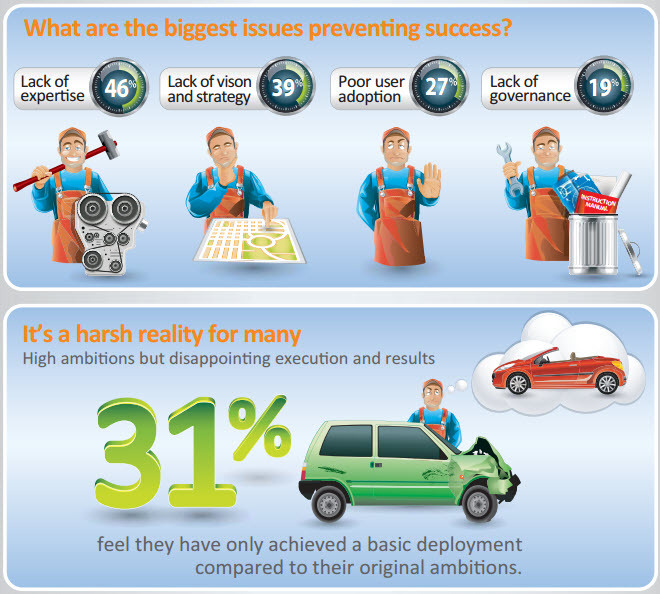 AIIM says that the lack of Expertise is the biggest reason – which I personally think is a bit misleading. The lack of expertise is the primary reason to why companies are missing the strategy and the well functioning governance practice. Both are mandatory parts of the foundation on which your SharePoint deployment will stand. Also user adoption is very much affected by the lack of strategy and governance. User are not adopting anything if they don’t know the benefit. Final comment; Strategy comes before Governance! 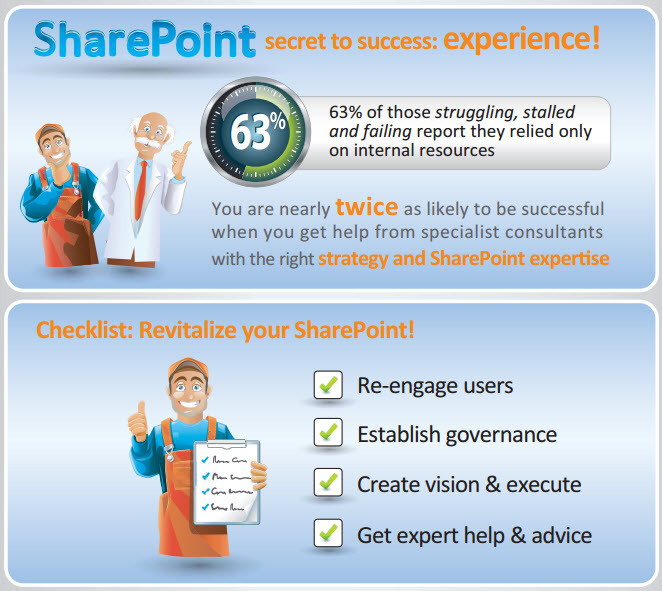 I would even go as far as saying; If you don’t have a strategy for SharePoint – don’t bother implementing Governance. Yes – might be a bti harsh, but think of it. Governance is the practice of steering the entire SharePoint service; but if you don’t know the pace and the course, how do you know how to steer?